At Hickey Law Firm, P.A., located in Miami and serving South Florida and beyond, accident attorney John H. (Jack) Hickey can help if you or someone you love has been involved in an auto accident. 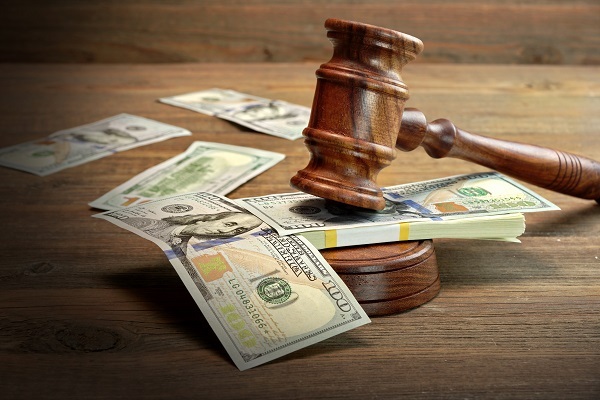 An experienced trial lawyer, Mr. Hickey helps protect your rights and fights to ensure you are justly compensated for damages or injury in the event of an accident. Car accidents can have devastating effects on you and your family. From damage to your vehicle to severe personal injury, the impacts of a car accident can have long-lasting consequences. The Florida Highway Safety & Motor Vehicles report for 2015 reported 159,795 injury crashes for the state of Florida, 2,699 of which were fatal. That was an increase from the 2014 statistics (injury crashes were up nearly 7% and fatalities were up nearly 18% from the previous year). Our mission is to provide to you, the honest, seriously injured person, the advice you need and the representation you want so that you recover the compensation you deserve. If you have been injured or if your loved one has been killed in a Florida car accident, call us today at 305-371-8000 for a free case review. Our experienced car accident attorneys are dedicated to representing those who live in Miami, Fort Lauderdale, Boca Raton, West Palm Beach, Tampa, Orlando, Jacksonville, and surrounding areas of Florida. Car accident injuries can range from minor to catastrophic. These injuries may severely affect you and your family's lives, including financial burden from medical bills as well as loss of the quality of life resulting from the injury. At Hickey Law Firm, P.A., we work hard to make sure that if you've been injured because of the negligence of another driver that you are taken care of in your time of need. In some auto accident cases, liability is easy to determine. For example, drunk drivers are almost always at fault for a car accident. Similarly, if you have been rear-ended, the car behind you is usually considered the liable party by default. However, other cases can be more complex and difficult to prove, especially if the other driver contests your version of events—or if an insurance company downplays the severity of your injuries. With our experienced Miami injury attorneys on your side, you can trust that your rights will be protected during every stage of your case. Attorney John H. (Jack) Hickey was once a lawyer for insurance companies and his experience working for "the other side" has given him unique insight into the tactics that insurance companies use to underpay victims. He can help you negotiate for the full amount of damages you are entitled to, and as a board-certified trial lawyer, he is prepared to take your case as far as it needs to go if a settlement cannot be reached. According to the National Highway Traffic Safety Administration (NHTSA), more than 5.5 million car crashes are reported to police each year in the U.S., injuring more than 2.2 million motorists and killing 30,000. Unfortunately, there are many ways in which a car accident can occur. And while you may practice safe driving and do everything in your power to avoid an accident, you still may be hit by a negligent driver. With modern technology and the busy lives people lead, the risk of accident has only increased over the years. If it's determined that you have a case, we'll work with a team of highly-trained individuals to investigate the wreck to obtain evidence we can use to prove the responsible party's fault. We'll also show the how your injuries currently impact your life as well as how they'll continue to impact your life in the future. The aftermath of a devastating car accident is a confusing and frightening time. You're hurt, you're upset, you have questions about what to do, and you're wondering how to protect yourself and your family. 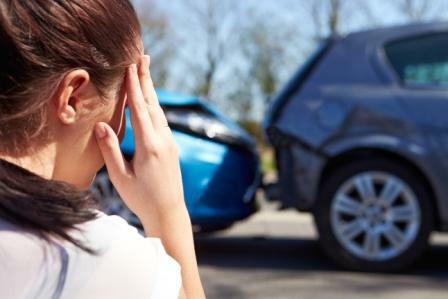 The actions you take in the immediate aftermath of a car accident can play a significant role in determining the success or failure of any legal action you might pursue. Fortunately, you can protect yourself and your legal rights by taking a few simple steps. Over decades of practice, our Miami car accident lawyers have seen that doing these things after an accident can keep you safe and better your odds in a courtroom. After your accident, your two priorities should be your health and your legal rights. Protecting both of them is vital. Seek medical attention: Even if it seems like a minor accident and you feel fine, it's important to get yourself checked out. Let any paramedics called to the scene examine you, and see a doctor if no emergency personnel was dispatched. Write your account of the accident: After the accident, take the time to write a brief account of what happened with info such as what you recall, how fast were you driving, what the speed limit was, and how the road conditions and weather was like. Take photos: You don't need to be a great photographer; the camera on your phone is fine. Make sure your shots are in focus and take as many pictures as possible of the vehicles, damage to the vehicles, and injuries, road conditions, and the environment. Request documentation: Obtain copies of any documentation generated after the accident, especially police reports and medical records. Contact a personal injury lawyer: Finally, you should speak with our Miami car accident lawyers as soon as possible about your next steps. If you've been involved in a serious auto accident, gathering this evidence is important getting the maximum compensation possible. If you're unable to take pictures or collect information yourself because of injury, contact someone close to you to handle this portion of the information-gathering process. Having pictures can help tremendously in a personal injury case. We can provide you with the advice and experience you need to effectively pursue the compensation you deserve. Contact us today. Personal injury law requires a plaintiff prove several things if he or she is to successfully pursue a claim. One of the most basic conditions for a successful personal injury claim is the presence of a “breach of duty” on the part of a defendant. Every driver carries a duty to every other driver on the road. These duties can sometimes be a little complicated and esoteric, but many of them are quite clear. For example, one of the most basic duties is sobriety— every driver is expected to be fully alert and under the legal alcohol limit. As such, an accident that is related to a driver’s intoxication is relatively clear-cut from a legal perspective. The drunk driver flagrantly violated his or her responsibilities and caused an accident that resulted in significant injury to another party. Our car accident lawyers know just how significant these injuries can be. We’ve seen clients whose lives have been permanently altered as a result of a drunk driver’s irresponsibility. As a result, we take these cases quite seriously. We will thoroughly investigate your accident to determine if alcohol played a role, and we will craft a compelling case on your behalf. And we will not hesitate to pursue every cent of compensation you deserve. 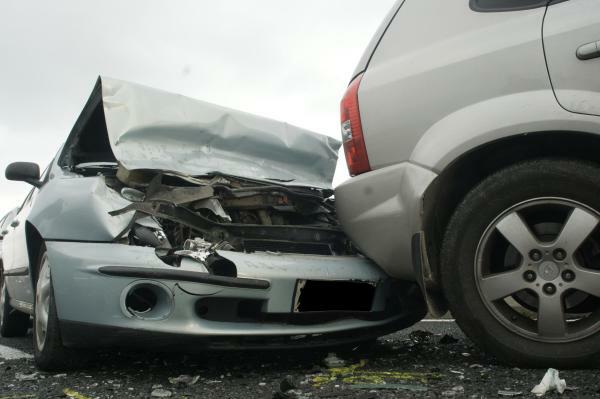 The injuries resulting from a car accident can linger for the rest of your life, as can the resulting medical expenses. We know how important compensation is in this tragic situation. Do you have a question about auto accidents? Don't hesitate — ask us today. Car accidents can have devastating effects on you and your entire family. Because of the serious injuries that can occur, you may face years of rehabilitation and expensive medical bills that can saddle your family with unwanted debt. When your accident is caused by the negligence of another, you deserve justice and fair compensation to take that financial burden off your shoulders and bring some peace of mind to your loved ones. If you have additional questions or you would like to schedule a free consultation regarding an auto accident, an experienced accident lawyer from our Miami-Dade County law office can help. We are committed to protecting victims’ rights, and you can rest assured that attorney Jack Hickey will handle your case with the due care it deserves. If you have suffered an injury in an auto accident because of another party’s negligent and reckless actions, contact Hickey Law Firm, P.A. online or call 305-371-8000 today.